The most fun part about the project was when JB was shaking in his shoes when I nearly shot the arrow at him whilst we were filming. I was only winding him up. I did go to the archery club, on a Friday night but because of it being nights I had to stop as it was too dark for me. I am the only person who is blind at the club and so can’t shoot at night. They also don’t know how to figure out my handicap for the sport. But I really want to do the shooting as its so enjoyable for me. Now I can start taking part in a day time archery club which means I can still take up a fantastic hobby. I was at the Veterans Blind Club in Llandundo and I asked if I could have a go at the archery. At first I was struggled with my eye sight and had to aim for what looked like a cloud. Mark the instructor went on the internet to discover there was an archery club in St. Helens (www.sthelensarchers.co.uk) where I live, so can practice more and get better, despite the loss of my sight. I just need to find my way of hitting the target and now I have access to a club and the time to do so. 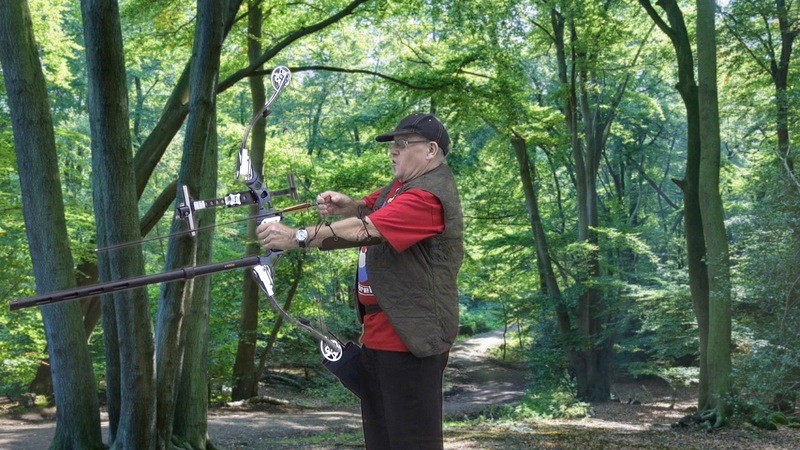 For me as a Veteran I never would of found out about archery if it wasn’t for the opportunities at Blind Veterans UK, so as a Veteran it was important for me to present my hobby as an Archer for the Veterans Identity videos.